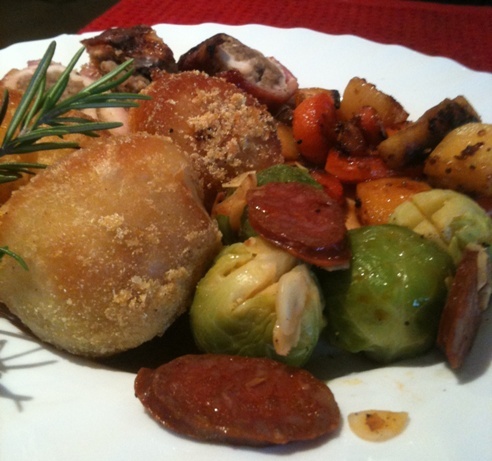 Christmas Lunch in less than an hour! Ian & team from Napier’s Restaurant cooked up a fantastic Christmas Lunch in under an hour on a wood burning stove today at Skipton Stoves & Ranges in Skipton. The event was part of a Fresh Radio promotion, Julian & gang were reporting live into the studio and the finished meal was rushed down to Steve Joy to eat “on air”. The menu for the luncheon included stuffed turkey breast with a bacon wrap, lovely and moist & great stuffing, Ian’s secret recipe I think! Accompanied with a variety of different roast potatoes, pollenta coated (makes em extra crispy), roasted in goose fat, par boil them first, drain then give them a good toss about in the pan to roughen up the edges, those edges will end up as the wonderful crispy bits! 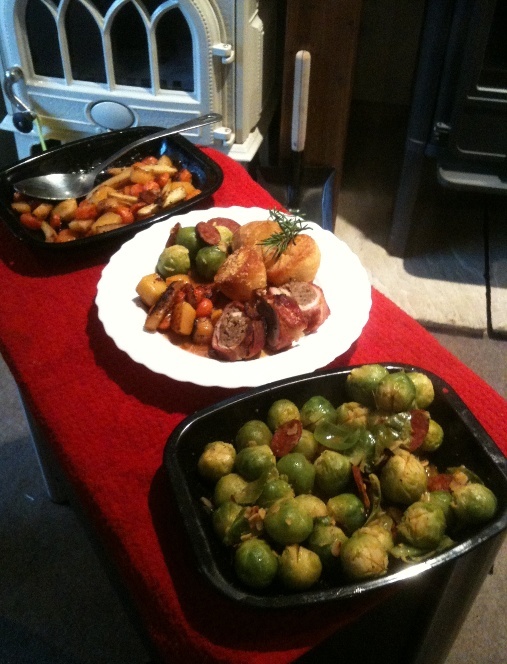 A selection of roasted winter veg and Brussel sprouts with, pan roasted almond flakes & Yorkshire Chorizo for extra zing! All served with a pan gravy thickened with Bisto, as Ian says “theres nowt wrong with Bisto, after 100 years it’s what people expect of a gravy!” I tend to agree with him for the classic roast. 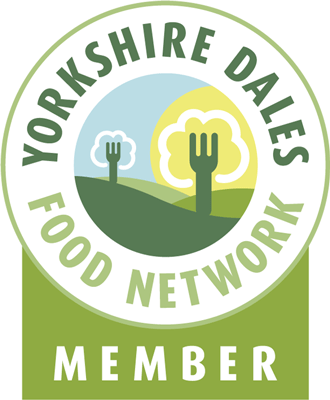 This entry was posted in chefs, Chorizo, Events, Food, Turkey, Yorkshire Dales Food. Bookmark the permalink. 2 Responses to Christmas Lunch in less than an hour!